This Halloween if you are having a party you may want to include Pearl Vodka Blueberry this is an ultra-smooth vodka overflowing with freshly picked blueberries. A refreshing addition to almost any mixer, the flavor and aroma of these little blue beauty shine in any cocktail. Below is a recipe that you can make this Halloween. This has 35% alcohol per volume. Shake well with ice in a shaker and strain into a chilled martini glass. 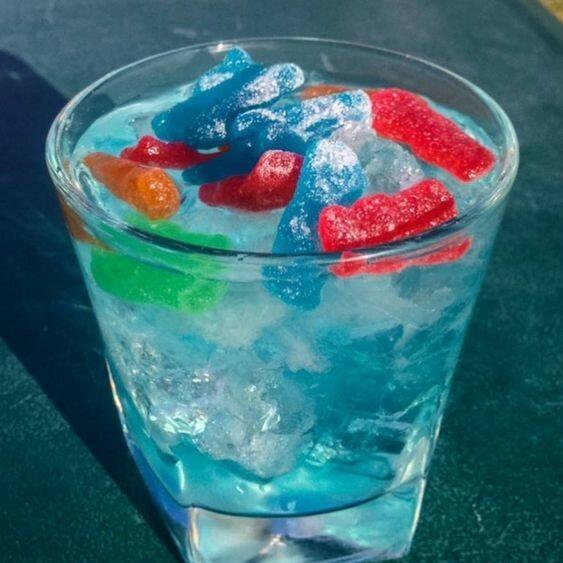 Garnish with one blueberry and one raspberry or with your desired number of raspberry/berry (blue) Sour Patch Kids candies! Soak ½ cup of raspberry Sour Patch Kids candies in a mason jar with about 1 cup of Pearl Vodka overnight, or up to 24 hours. Do not soak for longer than 24 hours. Strain vodka into a separate jar or straight into the shaker to combine with the rest of your Cosmo ingredients! My Opinion: this is truly a smooth taste and vodka and I really enjoyed the blueberry flavor it definitely will make a great party drink.